" I had used this model in the past when renting, but there was no question when it came time to purchase, that this machine is by far the best I've used. " " i really like my machine, the size and the alarm is awesome features to have for waking up. " The ICON Premo CPAP Machine with Built-In Heated Humidifier and ThermoSmart Heated Hose from Fisher and Paykel has taken several features from their SleepStyle line of CPAP machines and combined those and more to enhance patient comfort and provide a personalized therapy system. The ICON Premo incorporates ThermoSmart technology and advanced reporting into a streamlined body. The ICON is ideal for home or travel and comes with an alarm clock and music playing ability. The ICON Premo CPAP Machine with Built-In Heated Humidifier and ThermoSmart Heated Hose comes with a built-in heated humidifier and ThermoSmart Technology. The ICON Premo elevates the standard CPAP platform and includes a ThermoSmart Heated Hose to deliver condensation-free humidification at the touch of a button. To maximize the ICON's capabilities, Fisher and Paykel includes a heated breathing tube that works in conjunction with ThermoSmart Technology. This heated CPAP hose contains copper coils embedded in tubing and is 76.5 inches in length. These coils conduct heat and can provide a constant temperature throughout the hose. 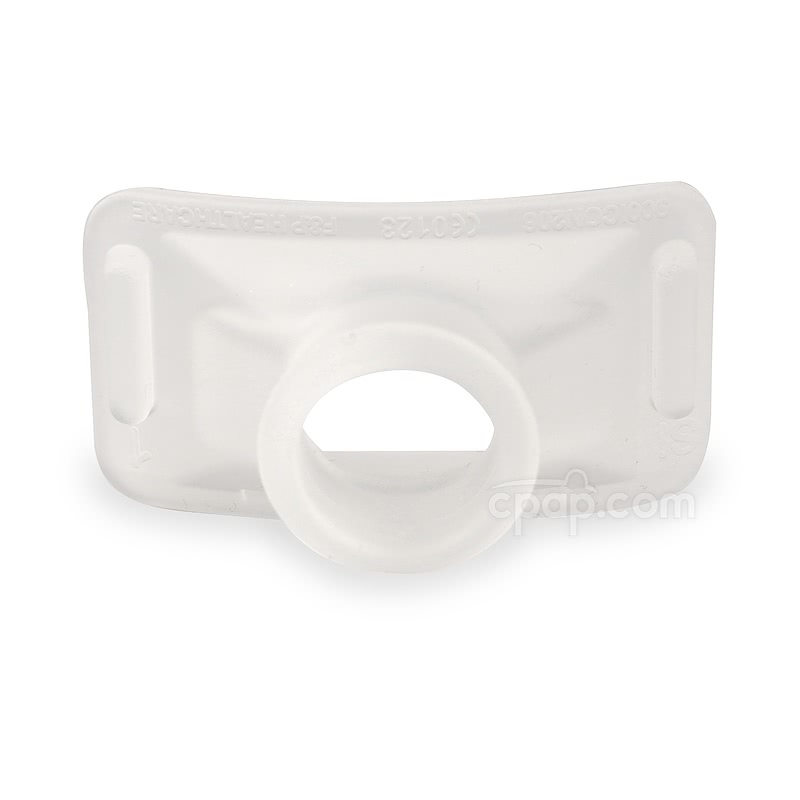 The included ThermoSmart breathing tube virtually eliminates rain-out and condensation in a CPAP hose. The compact design and clock functionality makes the Fisher and Paykel ICON an ideal substitute for the bedside night stand. The ICON incorporates a single SmartDial that uses a "Press-Turn-Press" principle. Turn the dial to access efficacy data from the display or set the built-in alarm clock and music playing ability with the AlarmTunes function. Use the SmartStick Studio software to upload your songs and have the ICON's alarm start your morning with music! Track your therapy effectiveness with the optional InfoSmart and the SmartStick. The software offers detailed reporting including data regarding compliance, AHI, leak and pressure readings. SmartStick Technology is a unique memory card that connects directly to a USB drive, without a separate card reader. 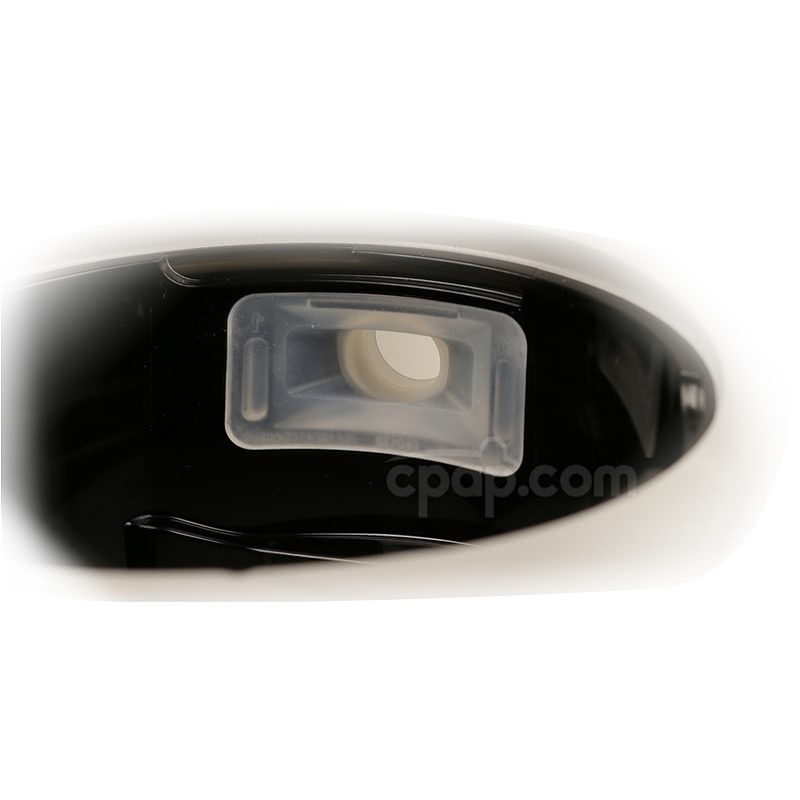 The SmartStick is used to easily transfer data from your CPAP to Fisher and Paykel InfoSmart Software. Ramp is a comfort feature which gives the user time to fall asleep. It starts the air flow at a pressure lower than the machine pressure setting. Activate the Icon Premo ramp by pushing in and holding the SmartDial button for 3 seconds when the machine is blowing air. The length of the ramp is 20 minutes. The ramp pressure will start at 4 cmwp or 1/3 of the prescribed pressure, whichever one is greater. PLEASE NOTE: The length of the ramp and the starting pressure of the ramp cannot be changed. The ramp feature on the Icon Premo is a set length of time, 20 minutes. It cannot be adjusted by the user. The starting pressure of the Icon Premo is set by the machine based on the prescribed pressure. It will start at either 4 cmwp or at 1/3 of the prescribed pressure. The machine will use the larger of those two numbers. As of February 2014, the ThermoSmart Heated Hose is included with the Icon Premo CPAP Machine. Wash the heated hose using a mild soap and warm water. Rinse well with clean water and allow to air dry out of direct sunlight. 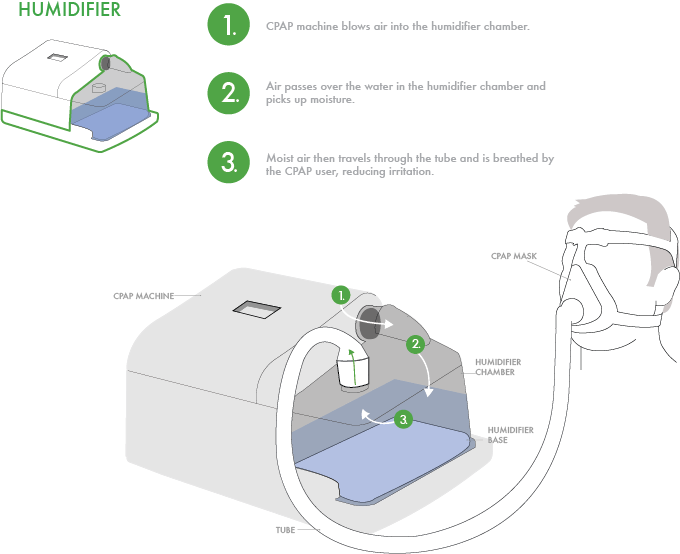 The thermosmart hose may be submerged while cleaning, however it must be allowed to completely air dry before reconnecting to the CPAP machine. The heating plate of the Icon Premo may feel warm after the machine has been turned off. This may be residual heat resulting from the humidifier being very well insulated. Adding to this warmth, the power supply for the machine is directly under the heating plate, and even while in standby mode it can generate enough power to cause warmth when touched. If the Smartstick for the ICON Premo will not lock into place, try removing the stick completely and reinserting which should allow the stick to re-lock into the machine. The SmartStick works in conjunction with software available only to doctors and sleep clinics. The ICON Premo CPAP machine operates automatically between 110v and 240v AC. When traveling either inside or outside the USA, there are no switches to switch or fuses to change. The machine will automatically sense what voltage is needed and set itself to run on that power.